Updated May 24. Shimano is known as a company that does not chase after trends, so its recent release of the clutch-based Ultegra RX rear derailleur is a sign the Japanese company thinks the popularity of gravel riding has some staying power. 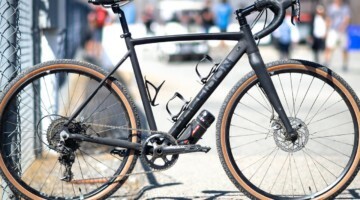 SRAM’s 1x clutch-based derailleurs have become popular with U.S. cyclocross racers—and a number of new gravel bikes—but Shimano representatives told Cyclocross Magazine and other journalists the new derailleur was designed primarily for gravel riding. Some readers will likely note Shimano already has clutch mountain bike derailleurs that can be paired with electronic shifting for 1x systems. With the new Ultegra RX derailleur, Shimano expands compatibility to mechanical road shifting and suggests there is a benefit in having a clutch rear derailleur with double front chain rings when riding gravel. Cyclocross Magazine attended an Ultegra RX event hosted by Shimano at this year’s Almanzo 100 in Minnesota that tackled 100, 162 and 380 miles of gravel roads around Spring Valley, MN. 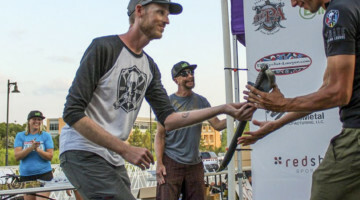 According to Shimano Product Team leader Dave Lawrence, Shimano chose Almanzo for the event because the annual race was among the first to put gravel races on the company’s product team’s radar thanks to event sponsor Penn Cycles of Minneapolis. The clutch-based Ultegra RX derailleur resulted from several more years of what the company called “market research” that included gravel test rides in Colorado, California and the Flint Hills of Kansas. 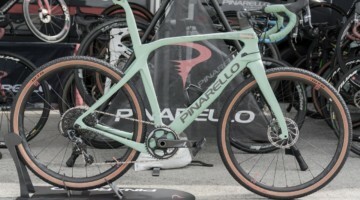 The company’s product team emerged from the rides recognizing the importance of disc brakes and versatility for gravel riding, as well as the need for reducing chain slap caused by the rough roads. 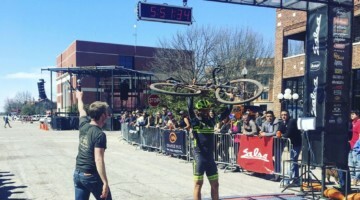 Several members of the team rode the new Shadow RX derailleur at the 2017 Almanzo 100, but rain and temperatures that hovered around 40 degrees forced many of the team to skip the race or withdraw early. All told, only about 100 starters finished the event. Not exactly the best test conditions. The company unveiled the new RX derailleur with its 2019 line of products last month and we were the first to bring you official details on the derailleur as well as the new 105 groupset. 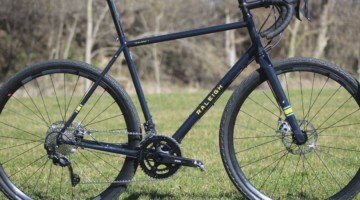 We take a look at the new clutch-based derailleur, consider its future in cyclocross and offer our impressions after riding with it over 100 miles of Minnesota gravel. 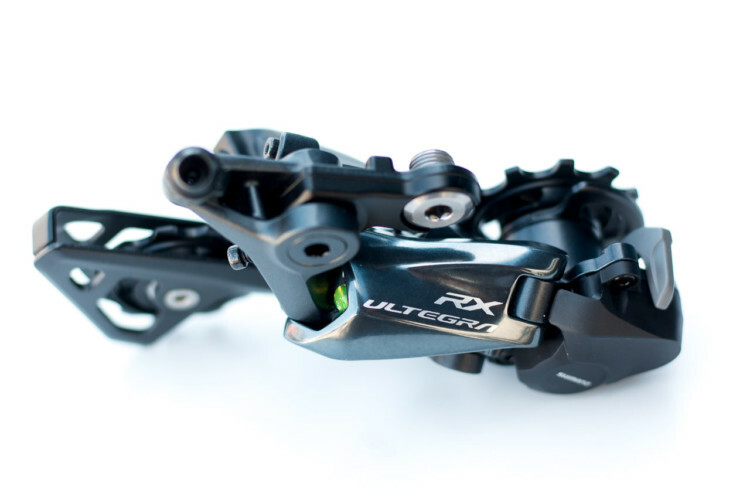 The new Ultegra RX derailleur comes in mechanical RD-RX800-GS and Di2 RD-RX805-GS models. Both use the company’s Shadow technology and have the same low-profile appearance as the R8000 and R8050 models, which Shimano representatives said was by design. They said they wanted a road-style derailleur that can be used for both gravel and rough road rides like the Paris-Roubaix, where the Trek-Segafredo team used it this year. 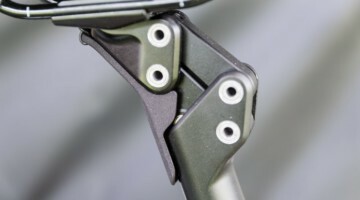 The Ultegra RX has less tension than the company’s mountain bike derailleurs because of the difference in the shock profile between the two types of riding. 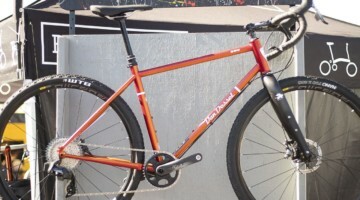 Mountain bikes usually receive intermittent jarring inputs, while gravel and rough roads produce more continuous but smaller shocks. Users have the option of turning the clutch on and off. The Shimano representatives said the increased tension of the clutch might increase drag, primarily with the mechanical RX800, so users might want to turn it during rides on smooth roads. The added weight for the clutch is about 30-40g. The RD-RX805 model has a claimed weight of 280g (compared to 249g for the RD-R8050) and the RD-RX8050 weighs 248g (compared to 210g for the RD-R8000). The MSRP of the RX800 is $110, which is $10 more than the Ultegra R8000 derailleur. The RX805 retails for $285, which represents a $10 bump over the R8050. Both models come with a GS long cage that fits cassettes between 11-28t and 11-34t. Lawrence explained the company added room for the 34t cog after test rides on the steep gravel roads in Colorado. That’s pretty low for road 2x gearing, but a few steps away from the 11-42t many 1x users are used to (in case you’re thinking about a RX805 single chain ring setup). If you want to add the new Ultegra RX derailleur to your current setup, you are likely in luck if you have Shimano 11-speed components. It is 11-speed only, but compatible with any of Shimano’s other 11-speed road shifters. For flat bar setups, the RX can be paired with Shimano’s Metrea SL-U5000 shifter that is compatible with road rear derailleurs. Shimano also had its pro team liaisons at the Almanzo event. They were somewhat mum on the Ultegra RX’s future in professional road and cyclocross racing. Word about the Ultegra RX first came out when the Trek-Segafredo team test rode the clutch-based derailleur before the Tour of Flanders spring classic. 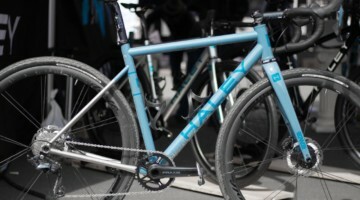 The team did not race with the Ultegra RX in Flanders, but they did at Paris-Roubaix. 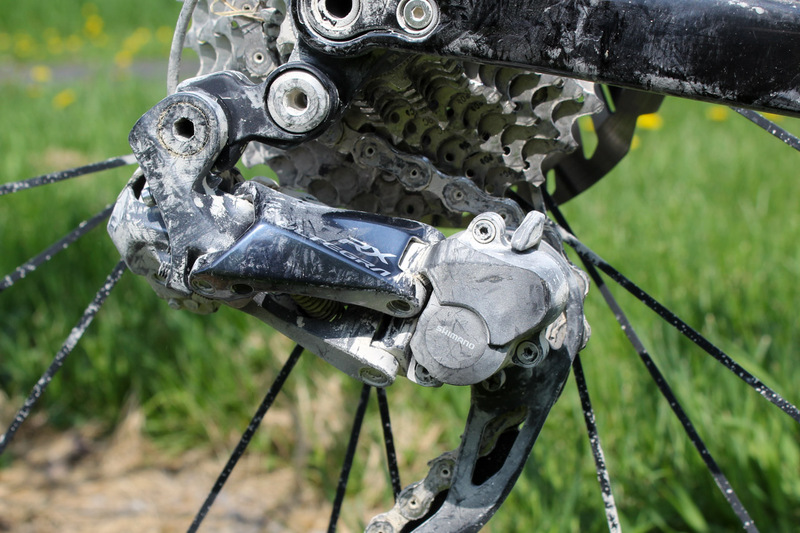 As one of the reps pointed out, the impact of the new derailleur did not show in the results. 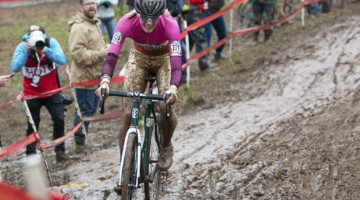 A number of European cyclocrossers, including Mathieu van der Poel, Sanne Cant and the Telenet Fidea team, race on Shimano components. 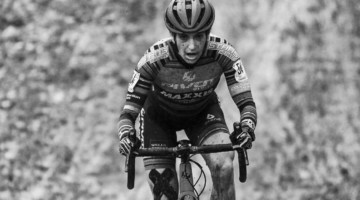 Although SRAM’s clutch-based derailleurs have become a favorite for many U.S. cyclocrossers, the Shimano reps said none of the athletes have committed to using the new clutch-based system this fall. 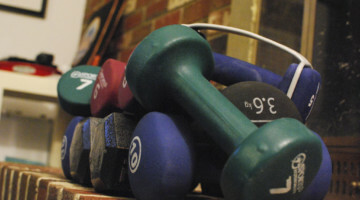 The prospect of less chain slap and fewer drops seems appealing for ’cross, even at the cost of about 40g of extra weight. The GS cage on the new Ultegra derailleurs also offers athletes the chance get extra rear climbing teeth in the back compared to Dura-Ace. At the same time, Cant, Van der Poel and others run Dura-Ace components, and the clutch is currently only available at the Ultegra level. Stay tuned as we take a closer look at what the Shimano-sponsored athletes ride this fall. 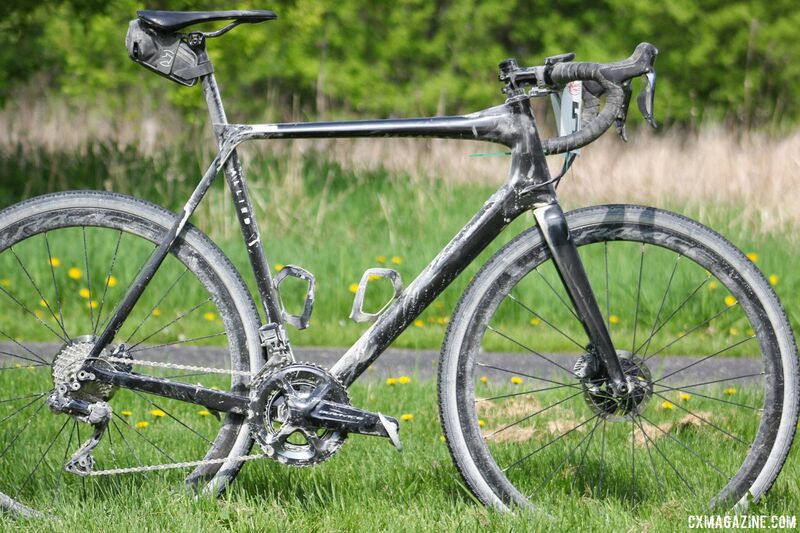 As part of the trip to Spring Valley, MN, I joined other journalists in racing the Almanzo 100 gravel race on an Allied Alfa All-Road bike equipped with the new Di2 Ultegra RX805 rear derailleur. By chance, I got the opportunity to experience the gravel life with both a non-clutch Dura Ace R9150 rear derailleur and the new RX805. Friday night we went out for a 20-mile ride outside Rochester that included a loop around some gravel roads similar to what we would ride on Saturday. The bike I chose when we arrived at the Shimano tent was equipped with a Dura-Ace R9150 rear derailleur, which let me experience some non-clutch riding on the Allied platform. The roads featured a hard pack base with medium-sized gravel on top and a few dips and washouts. 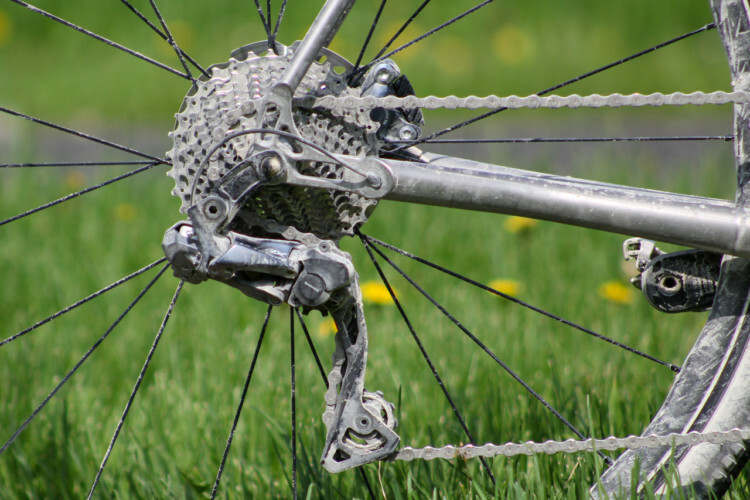 The rear derailleur’s cage moved around a decent amount on the rough spots, and I experienced the typical chain slap one would expect with a non-clutch derailleur on gravel road dips and crossings on the bike path. On Saturday, Shimano’s mechanics swapped in the new RD-RX805 on my bike for the 101-mile main event. As with most gravel races, the event started with a blistering pace ripping down the gravel roads outside Spring Valley. The roads early in the race had even more dips and washouts than the ones we rode Friday night, and once the chaos died down, I noted the lack of chain slap, even when I picked the wrong lines. Shifting with the Di2 Dura-Ace front derailleur and Ultegra RX rear derailleur was smooth and reliable. The rain forecast for Saturday pushed itself back to Sunday, and the resulting conditions were incredibly dusty. Throw in the thick, freshly laid gravel from about mile 65 to 85, and the air was thick with small particles for much of the ride. 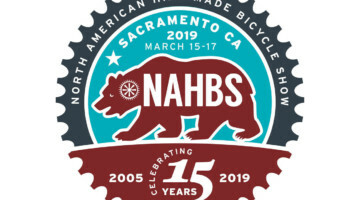 My experience riding gravel with the mechanical shifting on my personal bike is that shifting quality deteriorates significantly as a race progresses and the dirt and dust add up. I noticed only a slight decrease in shifting quality despite the conditions, likely due to a dust-covered chain. Other gravel riders like Ben Berden have also discovered the usefulness of Di2 shifting for the emerging discipline. It was nearly problem-free riding, thanks in part to the pro Shimano mechanics who dialed in my bike. Maybe the lesson here is to hire a pro gravel mechanic. I appreciated the wide range of the 11-32t cassette the long-cage GS derailleur supports, especially in the last 20 miles of the race. 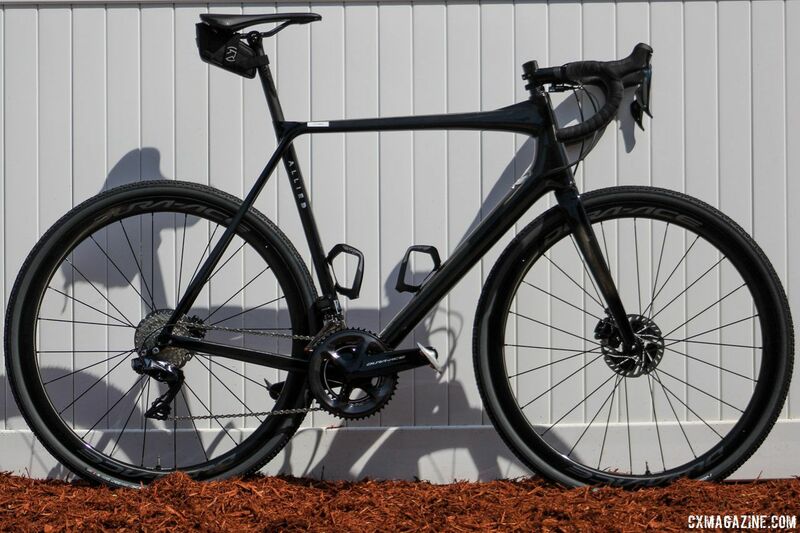 Our Allied Alfa All-Road test bikes had a compact 50/34t Dura-Ace crankset paired with an 11-32t rear cassette, which provided a very spinny 34/32 climbing gear ratio compared to the 36/28 of my personal cyclogravel bike. 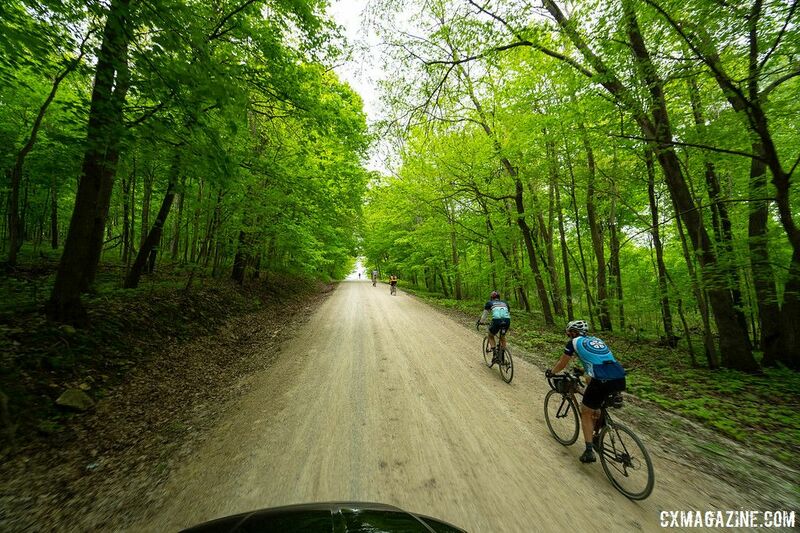 All told, the Almanzo 100 course had 6,000 feet of climbing, including several climbs that can be classified as “steep” and one at mile 90 on Oriole Road that reached the vaunted “hike-a-bike” category for many. My hamstring cramped up on the Oriole Road climb, but I was able to spin through in the saddle thanks to the extra teeth on the rear cassette. It also helped me save some energy on the other steep climbs by spinning instead of mashing. The extra teeth versus a regular road derailleur helped on the loosest climbs, and if conditions are more gnarly, I can see the 11-34t rear cassette being a welcome gravel bike addition. Given the popularity of other clutch-based derailleurs for cyclocross, it was a little surprising to hear how much Shimano’s development of the new Ultegra RX clutch-based derailleur was driven by gravel. Given Shimano’s conservative approach to chasing the latest and greatest, it is likely fair to conclude the Ultegra RX derailleur and gravel-inspired gearing are a sign of where the company thinks the future of road riding is headed. During my time riding 100 miles of Minnesota gravel at the Almanzo 100, the Ultegra RX derailleur worked as promised. The tension minimized chain slap, even when I picked the wrong washed-out line, and provided consistent performance during the entire ride. 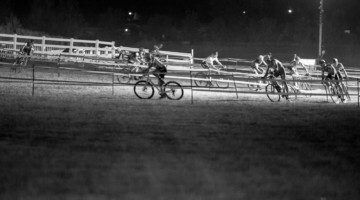 I also enjoyed the extra room of the GS long cage when the steep climbs started to add up in the last third of the ride. Thus far, clutch derailleurs have been employed primarily with 1x cranksets. My experience riding the non-clutch Dura-Ace one day and the clutch-based Ultegra RX for the Almanzo 100 suggests there are benefits in having a clutch derailleur with 2x cranksets when riding gravel, especially when the roads get less friendly. 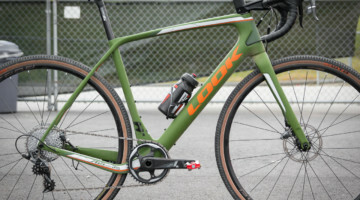 We will have our eye out this fall to see if professional cyclocross racers adopt the Ultegra RX derailleur for competition, and you can be sure CXM will put it to the test in cyclocross as soon as we can. The new clutch system adds a few grams, but the benefits of reduced chain slap and fewer dropped chains seem like a natural fit for the discipline. 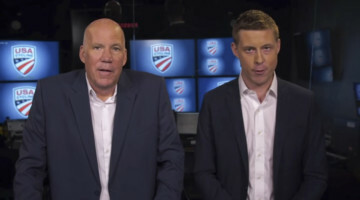 The question is if the sport’s top athletes will lead the way in adopting it for riding in the field. 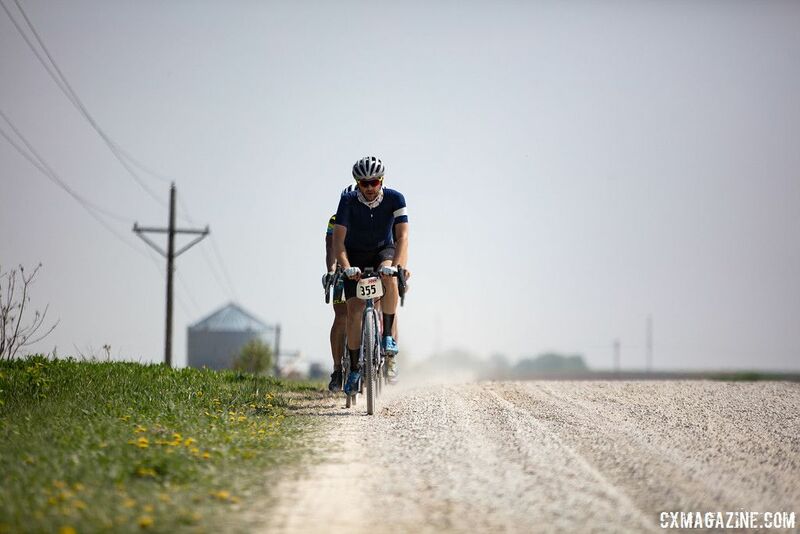 Stay tuned for more coverage from the 2018 Almanzo 100 gravel race in Minnesota. 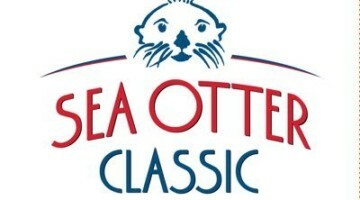 Added to my wish list with a 11-32 (maybe) cassette. Why would the advantages be restricted to 1x systems? 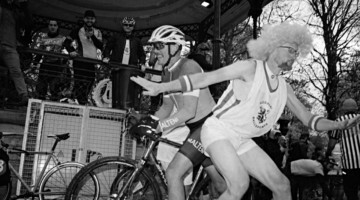 If anything, I think the application to road doubles has been slow due to the extra complexity of managing the chainring shifting. I know I’ve been waiting for a viable option. there’s more excess chain in a double than a single ring setup. Seems to me it would be even more beneficial. I for one am tired of chainslap on my road bike in the city. Nevermind when i take it on unpaved roads. Yes, there is more excess chain overall in a double set up but the least amount of chain tension would be in the smallest chainring (32t maybe) and smallest cog (11t), which is often not used. In a 1X configuration, you have to account for a very large sized cog (50t on SRAM Eagle). I haven’t done the math, but intuitively, to me, seems like you would get more slap in a 1X.